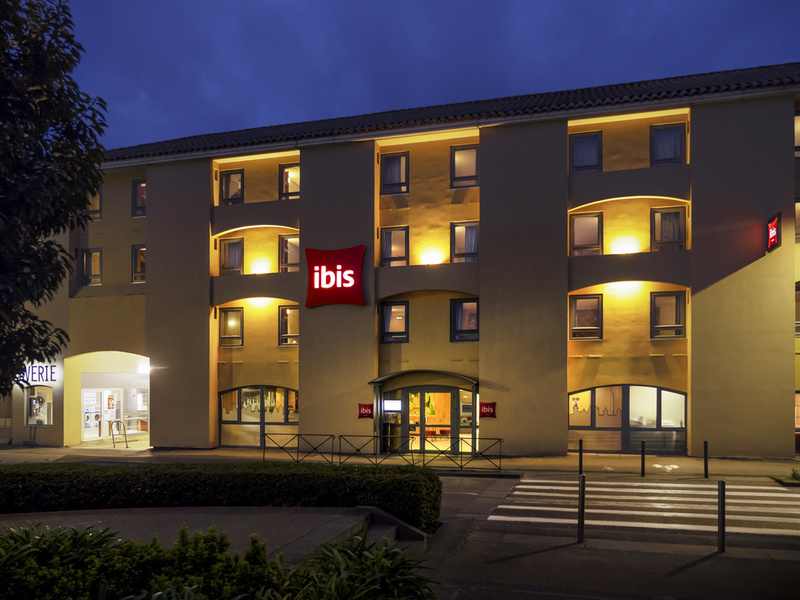 Between the medieval city and the center, the ibis Carcassonne Centre hotel is ideal for family stays or business trips, conferences or the Festival des 2 Cités. Z.I. Pt-Rouge business district and Salvaza airport are 15 min away. 24-hr bar, free WIFI. Thanks to our location 15 minutes from the train station, you can take advantage of the Stade Domec for rugby and sporting events. Marathons, hiking, swimming in Cavayère lake. A cinema and specialty restaurants nearby. Having stayed at the Ibis Budget last year, I expected more comfort and larger rooms from this Ibis Style. The room was quite small for the higher regarded hotel. Next time I would use the Budget again. No complaints at all. And managed to park my motor bike in the alley . Stayed here in Carrcassonne before. We had a re paid booking which was all ready on arrival. Nice receptionist. Stayed one night. All ok. It was good, the rooms although small were clean, the staff were friendly and helpful and the hotel is well situated. We felt very welcomed and were extremely comfortable. We enjoyed our stay at Ibis. It is conveniently situated and the staff were very welcoming to us and also to our dog. We had only booked for one night originally but they arranged for us to stay a second night when we requested this on arrival. I enjoyed one night in this hotel. It was comfortable and spotlessly clean. Great central location in between the train station and the old town: we walked to both. 2 minutes from the shuttle bus from the airport. The breakfast was plentiful: fresh fruit, baguettes, cakes straight out of the oven, meats and cheeses. My only criticism was the outrageous charge (€3) for a tea-bag and boiling water (self-service) in the evening after we came in from our walk. It should be free, or at least a nominal charge. Check in was easy. Staff spoke English well and were helpful. Room was very small, but neat and clean. Breakfast for 10€ is a good value. We experienced a very unusual situation which the staff performed with great ingenuity. We were told to stay at the hotel and not leave as we might be evacuated. The Aude River had flooded causing extensive damage. The staff managed to put together lunch for their guests with a lot of extra work but a lot of caring. The staff was to be commended for trying to make a difficult situation better. They also tried to help with travel arrangements for those on trains etc. Check-in was quick and easy. The rooms were a decent standard. The location is superb being just two minutes from the Pont Vieux. The staff were friendly and extremely helpful at every turn. Overpriced hotel. Clean but basic. Plug sockets underneath the desk in the room which is an inconvenience bit also means an adapter won't fit resulting in having no where to charge electronics. Male reception supervisor was friendly and helpful but the 2 women were rude and made for a very stressful stay during the floods. Good location excellent reception Very tiny room the bed was AWFUL ! My stay was very comfy and the hotel was well located . And the staff were very helpful and friendly .. how ever I would say the room was very small . A very welcoming & friendly hotel in an excellent location near the Vieux Pont. Comfortable room, with good breakfast, and helpful staff who made sure all was well.